Are you ready to buy or sell your Tahoe home? 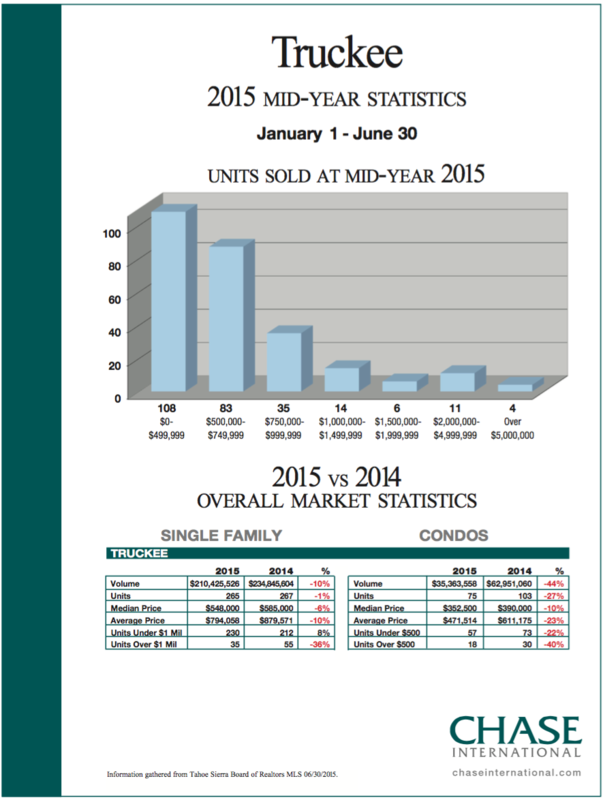 Check out this comprehensive data to help you with your Tahoe Truckee property decisions. Click on the image below to flip through the full report. TAHOE CITY, CA - Tilly Mezger of Chase International closed the sale on a High Sierra Enclave at 9607 Ahwahnee Place in Truckee, California sold for $4,862,500. If you are looking into purchasing a $1 Million + home in the North Lake Tahoe/ Truckee, now is the time. Single family homes over $1 mil sold in the first half of 2015 are down 36% from 2014. Right now is a buyers market in North Lake Tahoe!